The latest edition of this highly praised book retains the characteristics that have made it a success: an accessible writing style, and an abundance of practical exercises and real life case studies. With an increased inclusion of research findings, this updated text continues to elucidate policy issues and professional practice in personnel administration at every level of government-state, local, and federal. For those interested in public personnel management and human resource administration. 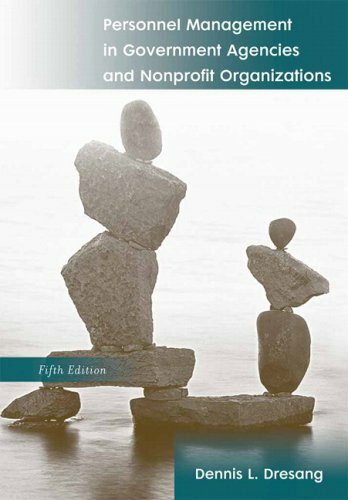 Dresang, Dennis L., Public Personnel Management and Public Policy, 4th Edition*\ The latest edition of this highly praised book retains the characteristics that have made it a success: an accessible writing style, and an abundance of practical exercises and real life case studies. With an increased inclusion of research findings, this updated text continues to elucidate policy issues and professional practice in personnel administration at every level of government-state, local, and federal. For those interested in public personnel management and human resource administration. Dennis Dresang is Professor Emeritus of Public Affairs and Political Science and founding director of the La Follette School of Public Affairs. His research focuses on state politics, public personnel management, and community issues. He has contributed to public service in a variety of ways: directing a research and public service seminar of La Follette School students examining community health issues and youth violence, chairing two major gubernatorial task forces, and serving on numerous tribal and local government commissions on human resource management issues.